An article published by the Association of Psychological Science in January 2015 found that children who play frequently with puzzles, construction, and board games tend to have better spatial reasoning ability. They studied the play behavior of 847 children ages 4–7 from a nation-wide sample covering all socioeconomic groups, and used scores from a psychological test of cognitive functions. Past studies have also found similar benefit for older children and teens. Spatial ability is the capacity to understand and remember the spatial relations among objects. Visual-spatial skills are of great importance for success in solving many tasks in every day life. For example, you use your visual-spatial skills when using a map to guide you through an unfamiliar city, merging into high-speed traffic, and orienting yourself in your environment. Spatial ability is also important for success in many fields of study. 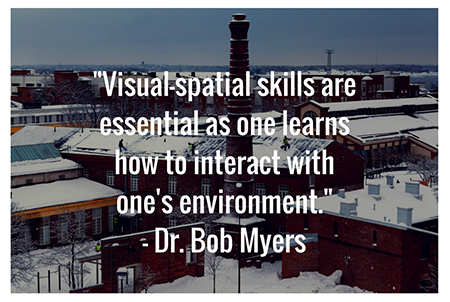 Mathematics, natural sciences, engineering, economic forecasting, meteorology, and architecture all involve the use of spatial skills. Construction toys like building blocks, Legos, and models. Board games teach planning, taking turns, handling winning and losing, problem solving, and other spatial skills. When played as a family, board games facilitate bonding and improve communication. 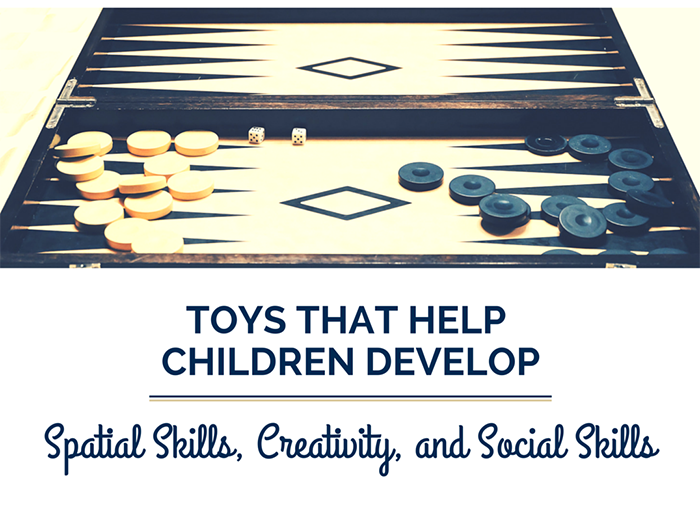 Parents can use board games as an opportunity to teach social skills and frustration tolerance. Select toys that are appropriate for your child, and look for ones with a fairly wide age-range so that your child will be able to enjoy them for a long period of time. Spend time building things and solving puzzles together with your child as well as encourage them to create on their own.